Now world famous since it replaced Wensleydale as the favourite cheese of a certain animated superstar, Stinking Bishop deserves its fame on its characteristics alone. 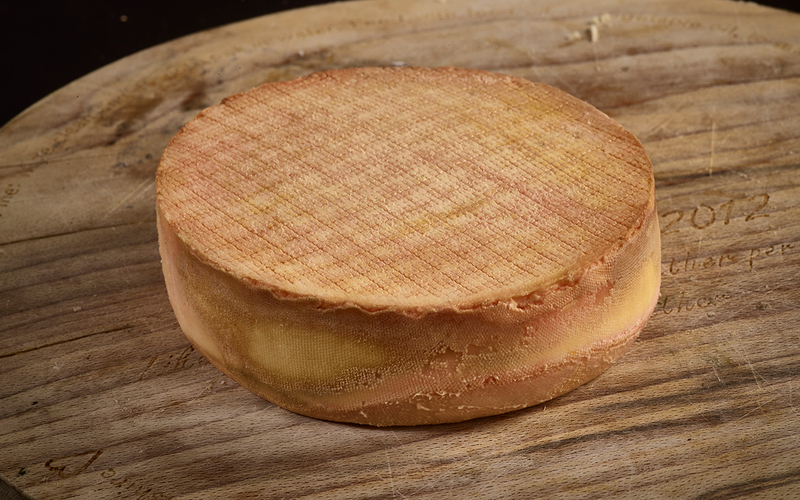 The ‘Bishop’ is now indeed a superstar cheese and the equivalent, in the cheese world, to a Latour. Stinking Bishop comes with a Pong warning – the ‘Bishop’ is extremely Pongy! If you havent had it, you must try it at least once. What’s it taste like? Contrary to popular belief there is no pear such as the ‘Stinking Bishop’. 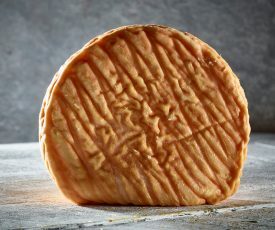 The variety used in the perry (pear-based cider) in which this famous cheese is washed is actually called ‘Moorcroft’. The truth is is that the perry itself is eponymous with a malodourous and drunken member of a local family from yesteryear called Bishop who is said to have created the cider. This is a phemenonal cheese with a superb name and one of our favourites. It has a soft texture and a strong taste, which isnt quite as pungent as the name would suggest but extremely tasty. 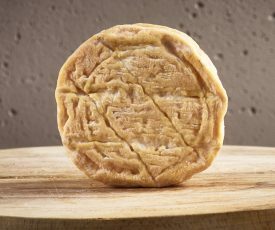 Similar to an Epoisses but not quite as strong and a bit sturdier. Where’s it from? Made with pasteurised cows milk and vegetarian rennet by Charles Martell in Dymock, Gloucestershire. 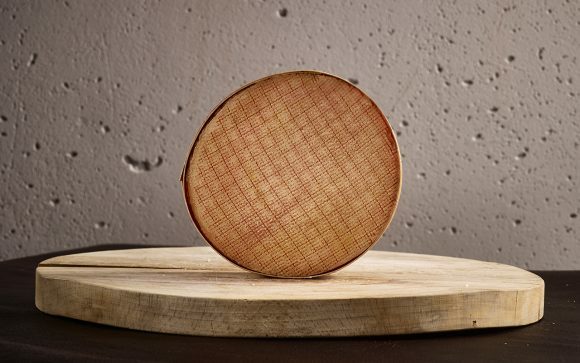 It comes as a 500g whole circular cheese in a wooden case. 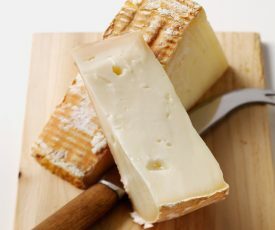 I have an addiction to cheese and always have a wide selection in my fridge at any one time but my x wife told me recently about this Stinking Bishop cheese and thought I would be interested. So I bought some at my local farm shop and to be honest it has looks like a kind of Camembert, very soft with an orange gray kind of rind. The first thing to hit you is the smell or pong. My daughter described it like my feet on a bad day. But leave the cheese to get to room temperature and wow the flavor is unbelievably delicious and terribly addictive. Sharp and creamy at the same time and fantastic on crackers or simply on its own.It’s quite simply the best cheese I’ve ever tasted and I want some more. This easily the best cheese so far, and apart from keeping scroungers away from my collection with the smell, it is really too good to share. For me, as a rule, when it comes to cheese, it’s usually a case of the stronger the better. Not in this case though. There was just something about the flavour that I didn’t like. Epoisses is still the king of the stinky cheese in my book. WoW !!!! creamy sweet n sharp and once when got over the house smelling like sweaty feet enjoyed every minute of the taste. Cant wait for more. This cheese is not available in Ireland, so I have it shipped here for special occasions. It’s honestly the most delicious cheese ever and I await its arrival with great anticipation. Make up your own box, choose three and we’ll give you one free!